The Supreme Court of the Philippines has ruled that DepEd's K to 12 is consitutional. The court can weigh on content that needs to be taught if these are deemed in line with the interest of the state in the well being of its citizens. DepEd's K to 12 is therefore seen by the Supreme Court justices as a curriculum geared toward the welfare of Filipino citizens. Such ruling, of course, takes into account only matters of constitutional proportion, more specifically, balancing the rights of the citizens against greater state interest. The court cannot really decide whether a curriculum is pedagogically sound as this determination should rest in the hands of educators, not lawyers, not judges. Thus, DepEd's K to 12 is constitutional in so far as its general nature is judged to be for the common good. After all, who can really argue against two additional years of basic education? 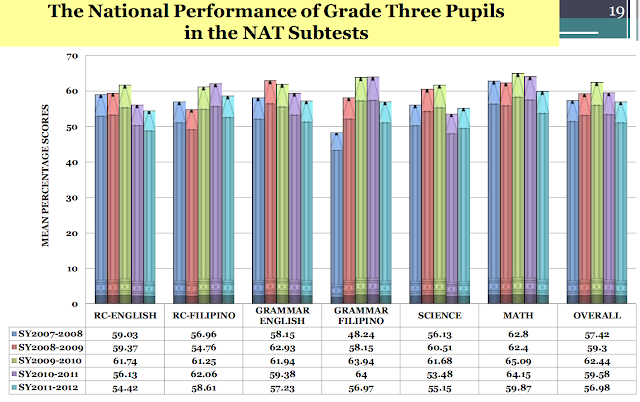 However, whether the K to 12 curriculum is effective or not is a matter only data and research can answer. 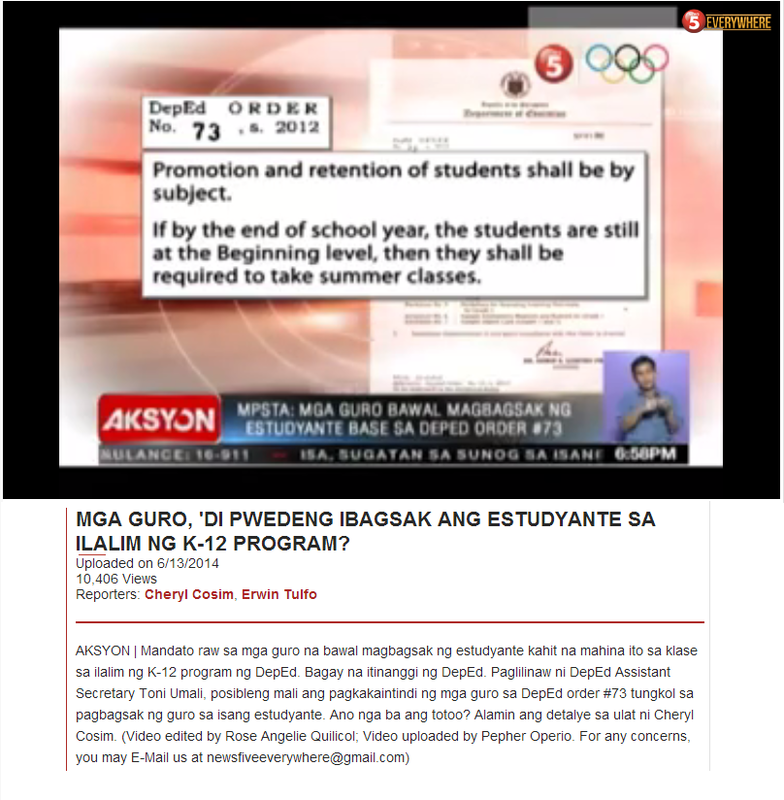 Most proponents and critics of DepEd's K to 12 unfortunately focus only on the legal aspects of the curriculum. Instead of the glaring problems of implementation as well as unintended consequences of DepEd's K to 12, there is greater attention paid to the Supreme Court's ruling allowing institutions of higher education to remove Filipino as a required course. "Soon after I finished college, Spanish was no longer a required subject in college. That happened quite late for me. Obviously, when a course in college is dropped, it can have an impact on its instructors. However, the continuing employment of instructors is never a justification for requiring a course in college. The fact that Spanish instructors stand to lose their jobs is irrelevant to the question of whether Spanish must remain as a required General Education subject in higher education. Of course, Spanish can always remain as an optional General Education course. The same therefore applies to Filipino courses in colleges. 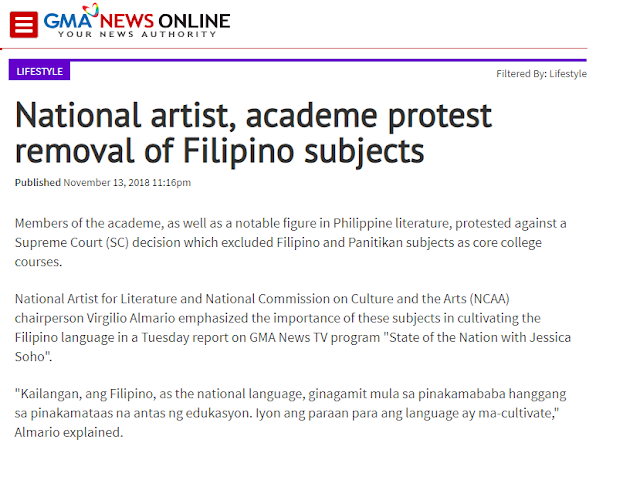 Lifting the Filipino language into the academic realm does require its presence in higher education. In fact, this is true for all the languages currently spoken in the Philippines. This, however, does not mean that all languages spoken in the Philippines should be required subjects in colleges. This is not only impossible, but also a huge waste of resources and time. No one would ever finish college. The job of higher education at least for now is to ensure that such opportunities exist. The truth is that nurturing a language is not something that can come from a decree. Intellectuals choose their medium. They make their choice based on several reasons. Universities must keep this choice free. Scholarly work is required at higher education. Instructors who do not advance their field do not belong to higher education. Keeping them does only great injustice and harm to the language."